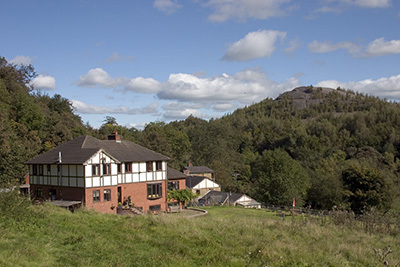 The Cheshire RSPCA Wildlife Centre has begun using Wilderness Farm, which belongs to my friend, Bill Devereux, as a release centre. 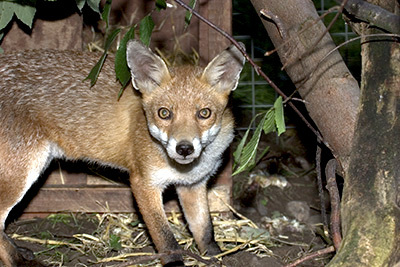 The first release consisted of five young foxes, brought to the RSPCA Wildlife Hospital, and now fit & healthy, ready to face the challenges of the wild world. 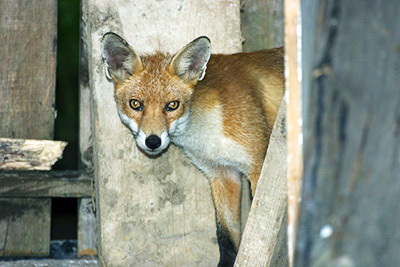 Wilderness Farm, run for wildlife rather than profit. 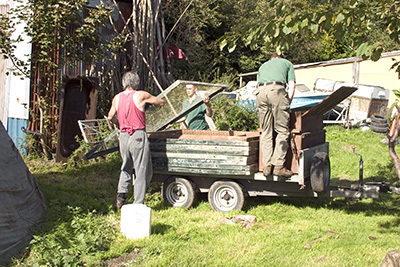 Bill and the RSPCA's Rob Scrivens unload the cage in which the foxes will be kept for the first few days. 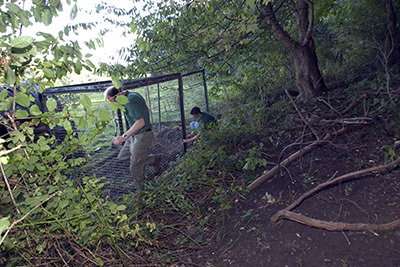 The cage is constructed on the edge of woodland. 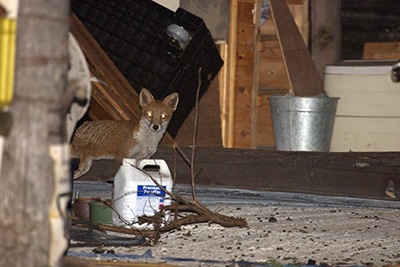 Even after the foxes left, food was left out at the cage for some time. 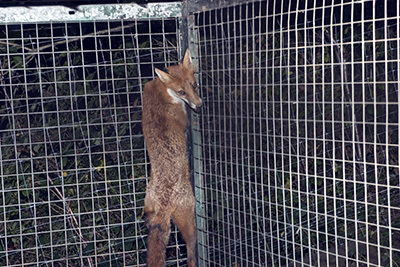 The boxes containing the foxes are transferred to the cage. 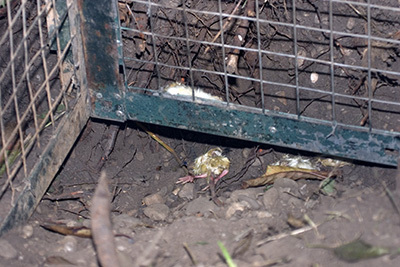 The cage was explored and its security thoroughly tested. 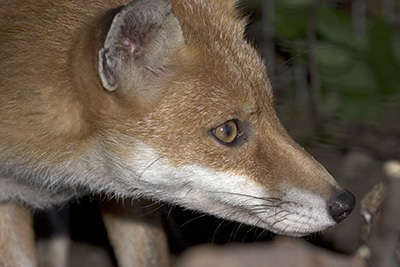 We were all impressed at the agility and climbing ability shown by the foxes. No wonder they are a threat to chicken coops! 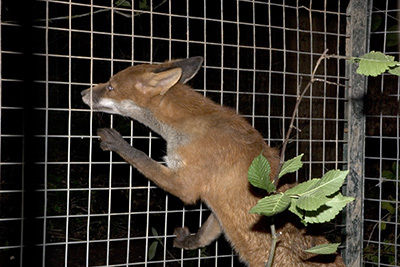 No need to release the foxes - they found their own way out! 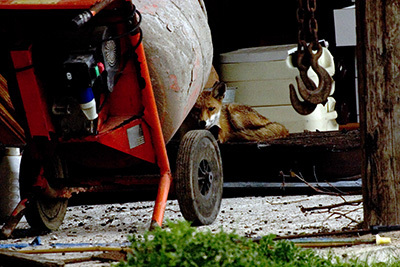 One of the foxes hung around the place, taking advantage of the food (day old chicks) which were left out.